The LTM series Magnetostrictive level transmitters offer highly accurate and precise liquid level measurement with a variety of configuration options. The LTM may be utilized as a direct insertion transmitter or externally mounted to a magnetic level gauge for non-invasive level control. The LTM sensor probe with magnetic float(s) is inserted directly into a tank. 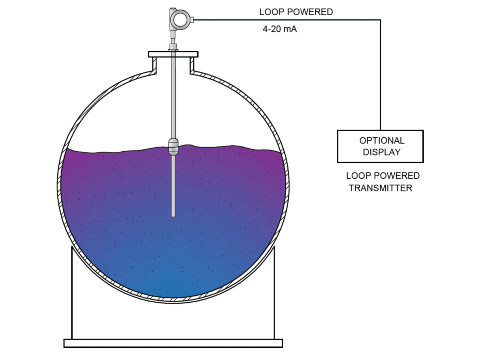 As the float rises or falls with the fluid, the transmitter provides level output. LTM transmitters are available with two-wire loop powered 4-20mA signal output and HART. The LTM level transmitter operation is based on the principle of Magnetostrictive technology. To explain briefly, the sensor consists of an alloy wire with specific magnetic characteristics called the wave guide. 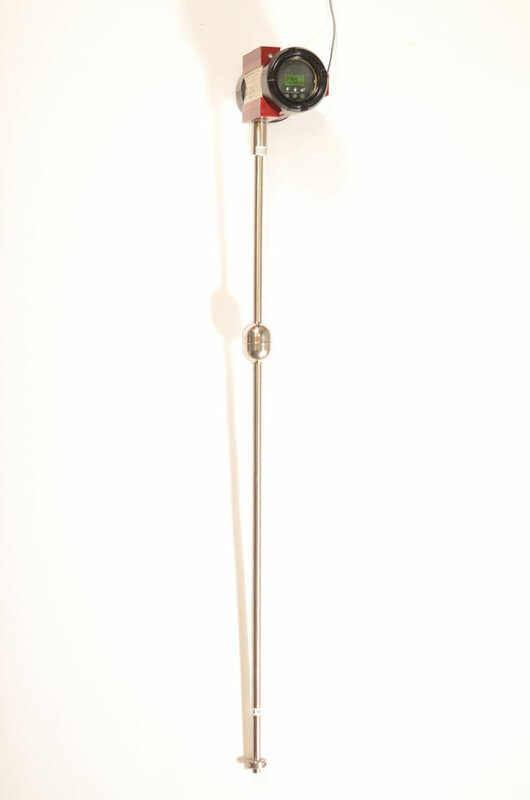 The wave guide is housed within a stainless steel tube, creating the probe assembly. The transmitter electronically generates a high current pulse which is transmitted down the wave guide, producing a circular magnetic field as it travels down the wire. Another magnetic field is generated on the wave guide by the permanent magnet in the float along the length of the probe. When the pulse field interfaces with float magnetic field, a torsional force is produced, twisting the wire and producing a torsional wave. The time of flight of the torsional wave is measured and the distance to the float is easily calculated. Other configurations include remote mounted electronics for easy access or high temperature applications. Sensor probes are available in a variety of materials, including stainless steel and exotic alloys (Monel, Hastelloy, etc.). 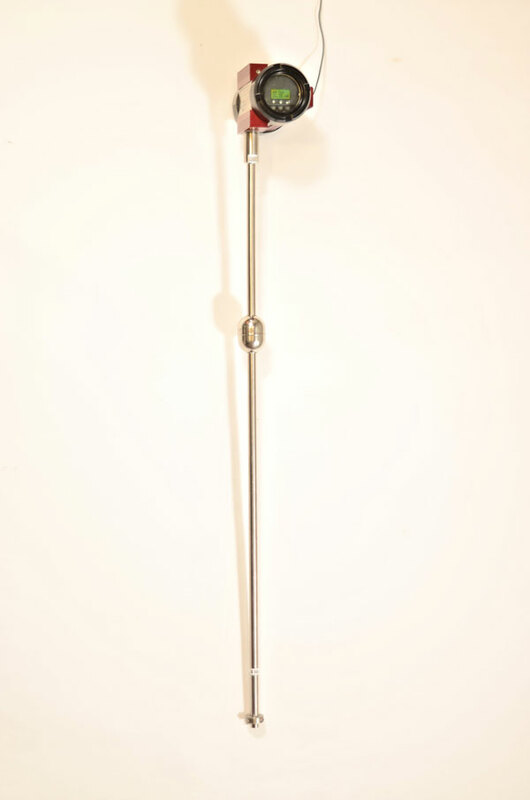 Sensor probes may also be electro polished for sanitary applications. 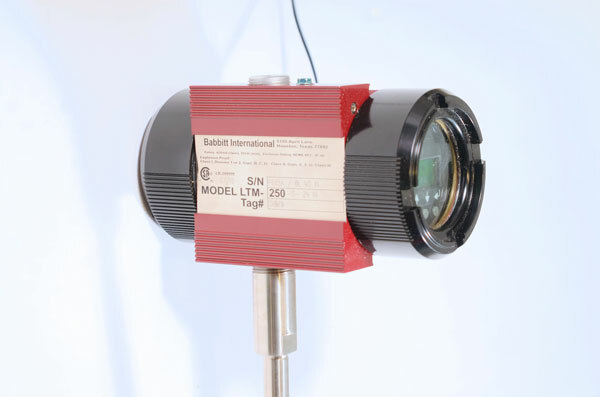 All LTM transmitters feature explosion-proof, dual compartment enclosures with integral displays. 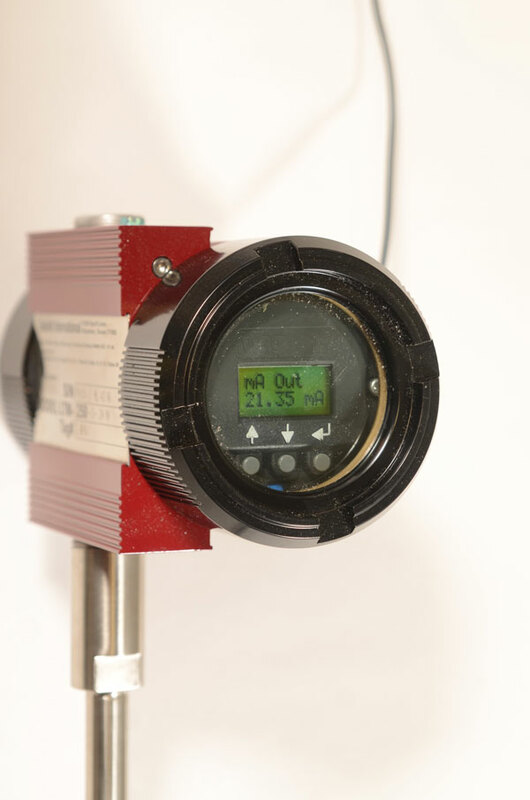 The plug-and-play electronics allow easy upgrades from HART to Fieldbus without replacing the sensor probe. LTM transmitters offer the latest and most advanced software features on the market, introducing the only registered HART DD compliant to IEC 61804-2 and compliance certified to HART 7. Range: 12 inches to 30 ft.